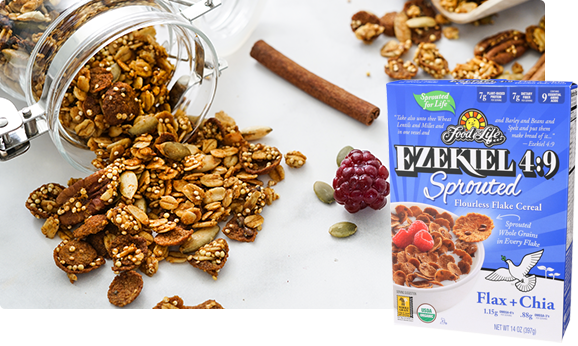 Start your day off right with Ezekiel 4:9 Sprouted Grain Flax + Chia Flake Cereal. 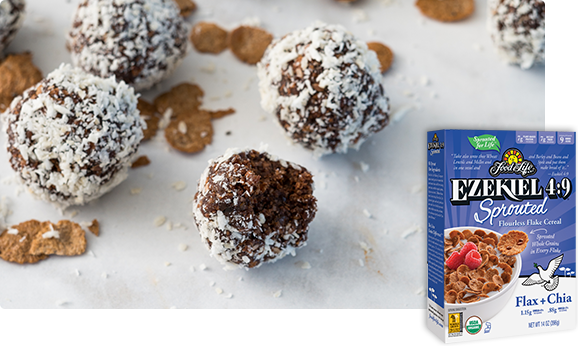 All the taste and nutrition of our original cereal with the added benefits and flavor of Flax and Chia. 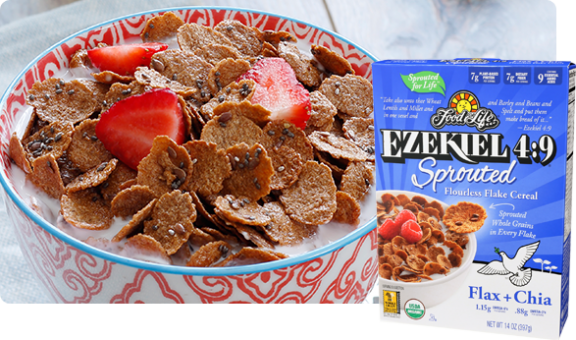 Ezekiel 4:9 Blend: (Organic Sprouted Wheat, Organic Sprouted Barley, Organic Sprouted Millet, Organic Sprouted Lentils, Organic Sprouted Soybeans, Organic Sprouted Spelt), Organic Malted Barley, Organic Agave, Organic Flax Seeds, Organic Chia Seeds, Sea Salt, Organic Rosemary Extract.